CAT5E Ethernet Cross-Over Cable, RJ45/RJ45, Gray 5ft. CAT5E Ethernet Cross-Over Cable, RJ45/RJ45, Gray 15ft. CAT5E Ethernet Patch Cable, RJ45/RJ45, Gray 5ft. CAT5E Ethernet Patch Cable, RJ45/RJ45, Gray 10ft. CAT5E Ethernet Patch Cable, RJ45/RJ45, Gray 15ft. CAT5E Ethernet Patch Cable, RJ45/RJ45, Gray 25ft. CAT5E Ethernet Patch Cable, RJ45/RJ45, Gray 50ft. CAT5E Ethernet Patch Cable, RJ45/RJ45, Gray 75ft. CAT5E Ethernet Patch Cable, RJ45/RJ45, Gray 100ft. CAT5E Ethernet Patch Cable, RJ45/RJ45, Gray 150ft. CAT5E Ethernet Patch Cable, RJ45/RJ45, Gray 200ft. CAT5E Ethernet Patch Cable, RJ45/RJ45, Gray 250ft. CAT5E Shielded (STP) Ethernet Patch Cable, Gray 5ft. 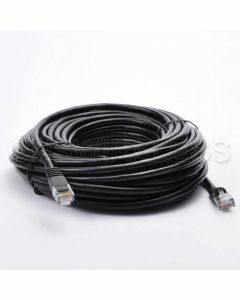 CAT5E Outdoor Direct Burial (STP) Ethernet Cable, 5ft. CAT5E Shielded (STP) Ethernet Patch Cable, Gray 10ft. CAT5E Outdoor Direct Burial (STP) Ethernet Cable, 10ft. CAT5E Shielded (STP) Ethernet Patch Cable, Gray 15ft. CAT5E Outdoor Direct Burial (STP) Ethernet Cable, 15ft. CAT5E Shielded (STP) Ethernet Patch Cable, Gray 25ft. CAT5E Outdoor Direct Burial (STP) Ethernet Cable, 25ft. CAT5E Shielded (STP) Ethernet Patch Cable, Gray 50ft. CAT5E Outdoor Direct Burial (STP) Ethernet Cable, 50ft. CAT5E Shielded (STP) Ethernet Patch Cable, Gray 75ft. CAT5E Outdoor Direct Burial (STP) Ethernet Cable, 75ft. CAT5E Shielded (STP) Ethernet Patch Cable, Gray 100ft. CAT5E Outdoor Direct Burial (STP) Ethernet Cable, 100ft. CAT5E Shielded (STP) Ethernet Patch Cable, Gray 150ft. CAT5E Outdoor Direct Burial (STP) Ethernet Cable, 150ft. CAT5E Shielded (STP) Ethernet Patch Cable, Gray 200ft. CAT5E Outdoor Direct Burial (STP) Ethernet Cable, 200ft.